Fix yourself a bowl of popcorn, settle in an armchair, leave cynicism at the door and devour this adrenaline-fuelled, conspiracy-driven novel. This isn’t high literature, but if you want a hapless hero, plots within plots and a dose of mathematics/magic then this is the novel for you. The story begins when hapless Henry Barnett, middle-aged, overweight and working in a petrol station, finds out that he has a grown-up son from a woman he had a fling with thirty years ago. Unfortunately, said son is now in hospital in a diabetic coma that he will never wake up from. Henry goes to see his son, David, in hospital, meets up with David’s mother, and somehow gets the impression that all is not as it seems. Apparently, David was a brilliant mathematician and had been working for a big global organisation when he and the other 7 people in his department were all suddenly sacked. Now, one by one, they are all dying in strange circumstances. Henry finds himself driven to uncover the truth and so begins a journey filled with faked passports, illusionists, con-men, lunatic asylums, corruption, high mathematics and all sorts of other derring-do. Will he unlock the truth before he, too, falls victim to the mysterious killers? If you like Dan Brown novels then you will probably like this one too. You just have to suspend disbelief occasionally, abandon yourself to the drama, relax and enjoy it! 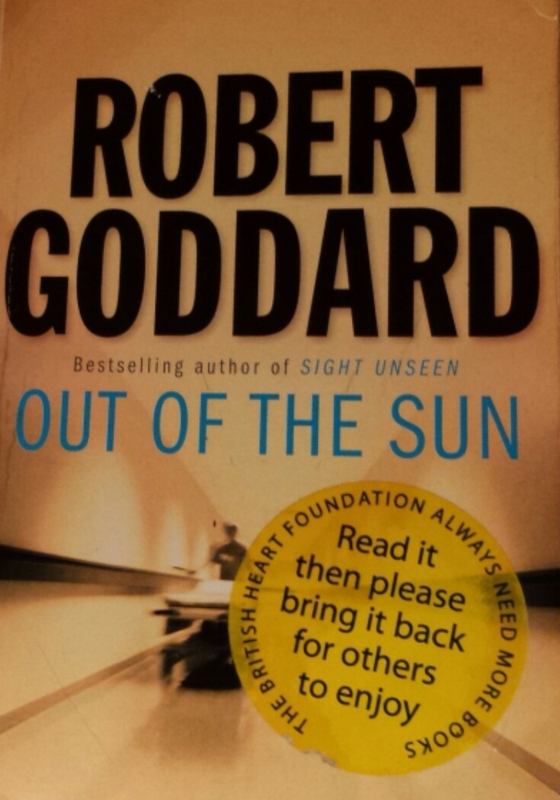 Tags: book, book review, books, conspiracy, novel, Out of the Sun, Robert Goddard. Bookmark the permalink. I quite enjoy a bit of Robert Goddard, I once read three of his on a wet caravan holiday and it made the whole thing far more exciting than it would otherwise have been! There is definitely a time and place for Goddard – generally anywhere you need a bit of escapism!